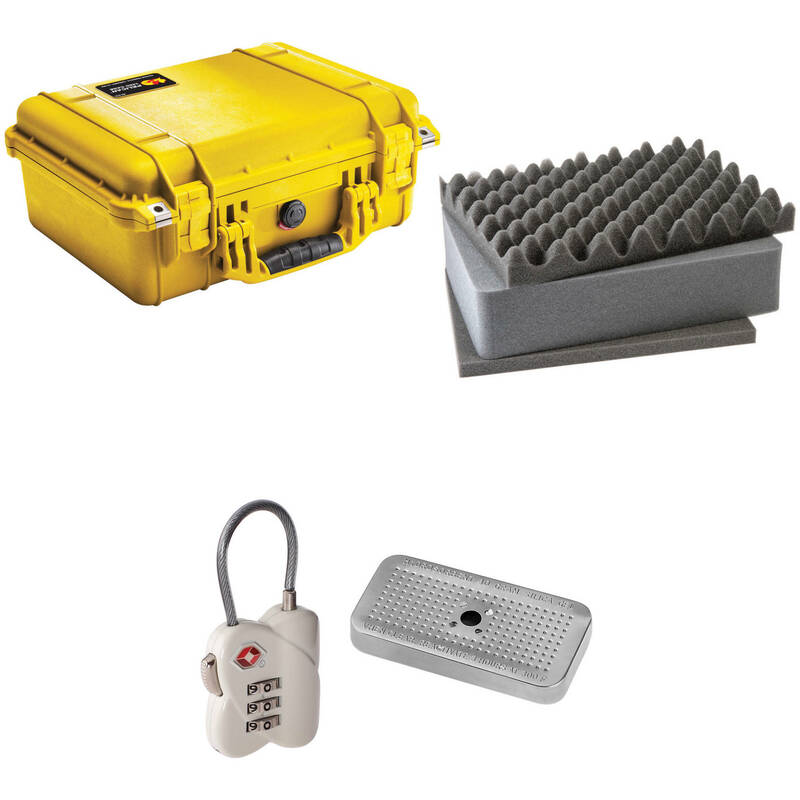 Store, protect, and transport your valuable gear with this B&H Kit that combines a yellow Pelican 1450 Case with a Foam Set, a TSA Lock, and Desiccant Gel. The watertight, dustproof case features ultra-high impact copolymer construction, an automatic-pressure equalization valve, easy-open double-throw latches, a folding handle, and more. The padlock hasps accept the included Ruggard 3-Dial TSA Combination Lock. Use the Ruggard Desiccant Silica Gel Pack to help protect stored gear from moisture. This gel pack is housed in a reusable metal tin. The Pelican 1450 Case with Foam (Yellow) is an unbreakable, watertight, airtight, dustproof, chemical-resistant and corrosion-proof hard case used to carry any kind of equipment that needs to be protected from the elements. It is made of Ultra High Impact structural copolymer that makes it extremely strong and durable. It includes a 0.25" (6.4 mm) neoprene o-ring, easy-open double throw latches that seal perfectly, and an automatic pressure equalization valve for quick equalization after changes in atmospheric pressure. The case has a comfortable rubber over-molded handle. Box Dimensions (LxWxH) 16.5 x 7.0 x 1.5"